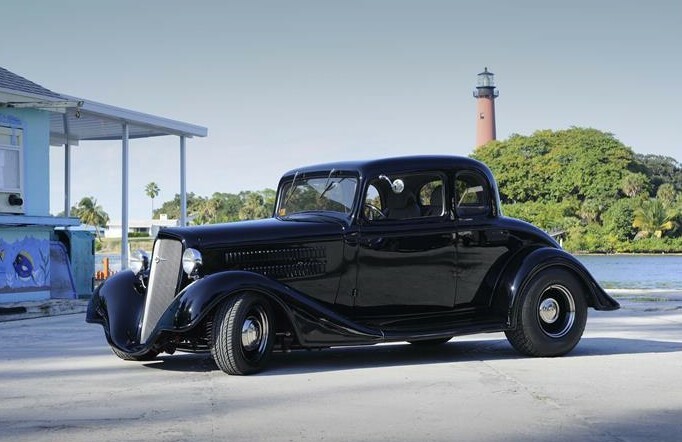 When you combine style, grace and elegance with flawless black paint and raw horsepower, you get this beauty, a 1934 Chevrolet Master 5-window coupe. 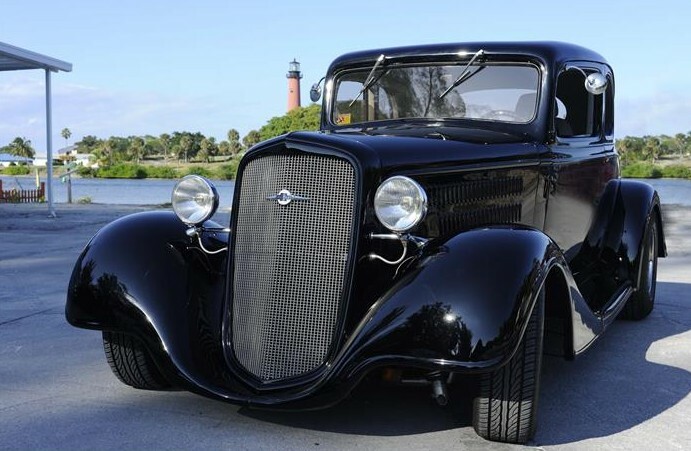 When you combine style, grace and elegance with flawless black paint and raw horsepower, you get this beauty, a 1934 Chevrolet Master 5-window coupe that has been selected as Pick of the Day. 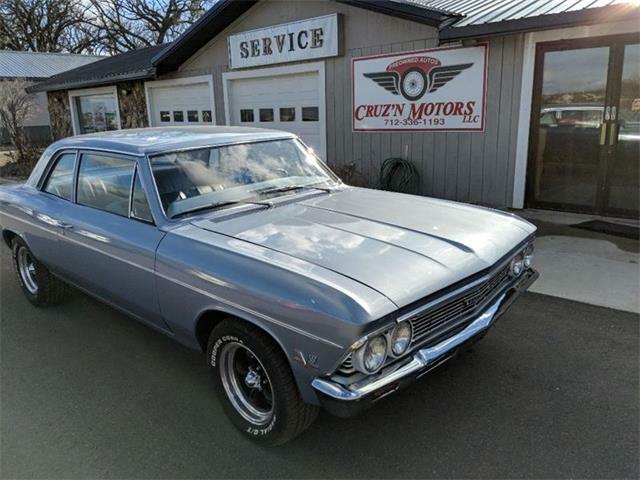 Listed on ClassicCars.com, the seller states that the car is a “multi-time show winner and always draws a crowd.” One look and it’s easy to see why. Powering the all-steel Master coupe is a 383 cid stroker motor built by T&L Engines of North Carolina with an estimated 425 horsepower. The engine features all new Keith Black pistons and rod bearings with a 4-bolt main block and roller rockers, True Double roller timing set with custom ground cam and Dart Pro-1 Aluminum heads, Edelbrock air gap manifold and a Holley Street Avenger carburetor. A 700 R4 4-speed automatic transmission has been mated to the engine. The transmission also features a shift kit with high performance servo’s and clutches, and a 2,400 rpm stall converter. A Lokar shifter with Dakota Digital shift indicator sits on the console along with control for the electric exhaust cut-outs. The body of the car was stripped to bare metal with any rust cut out and replaced before being painted with seven coats of PPG 9300 black paint. Giving the body a sleek look is a 3-inch dropped front straight axle. The chassis, complete with TCI cross members and braces, has been blasted and painted gloss black to match. The seller also lists that all the wiring, shocks, brakes, hoses, and other miscellaneous items have been replaced in addition to power disc brakes in the front and rear of the car. 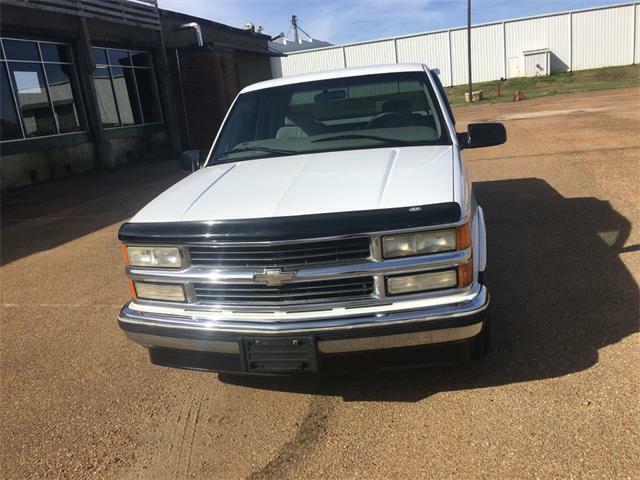 The purchaser of this Chevrolet Master will get a complete receipt and photo history of the restoration, the seller states. The car is being offered for $69,000 in Tequesta, Florida, by a private seller.